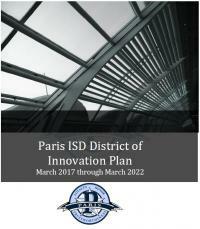 Paris ISD provides a comprehensive program for gifted and talented students in grades K-12. Student identification criteria for grades K-8 include a mental abilities test, achievement tests, an inventory of gifted characteristics/behaviors, and a creativity test. Identification criteria for grades 9-12 include a mental abilities test, a creativity test, student achievement, and checklists for rating characteristics of gifted students. Data for all students are entered on individual profiles to determine the final selection score for consideration by a selection committee of district educators who have received training in the nature and needs of gifted students. Written policies on student identification are available in the principal’s office. An array of learning opportunities is offered for gifted and talented students. K-6 students are served in full-day talent pool enrichment classes. In addition, students identified for the grades 3-6 SOCRATES program participate one-half day per week in a pull-out, interdisciplinary class. Students in grades 7-8 are served through Specific Academic Ability (SAA) and/or Accelerated classes in the four core content areas through the daily schedule. Students in grades 9-12 have the opportunity to participate in the Paris High School Advanced Academic Program which includes Pre-Advanced Placement courses in English, math, science, social studies, government, economics, and Spanish; Advanced Placement courses in English III-IV, U.S. History, Spanish Language, and Calculus; Honors Anatomy and Physiology; and 30 semester hours of dual credit college courses offered jointly with Paris Junior College. Not all AP and Dual Credit courses are offered each year. District-wide opportunities for enrichment include participation in Future Problem Solving (grades 4-12), FPS Scenario Writing (grades 7-12), UIL academic competition (grades 5-12), and One-Act Play competition (grades 9-12). 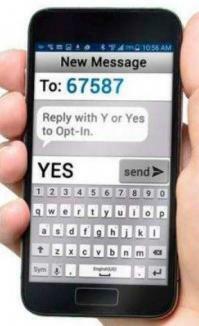 Other competitions as appropriate to various grades include WordMasters; numerous essay, speech, and debate competitions; NET-OLE foreign language competition; career and technology contests; Robotics; FPS Community Service Program; Texas Mock Trial Competition; Lamar County Spelling Bee; Geography Bee, and an array of fine arts (art, band, choir, and theatre) competitions and activities. Students have the opportunity to receive leadership and parliamentary procedure training through Student Council, National Elementary Honor Society, National Junior Honor Society, National Honor Society, Spanish National Honor Society, and other extracurricular activities. The fine arts program and selected Career and Technology courses also support expanded dimensions of enriched learning opportunities. In addition, the Paris Association for Gifted Education provides an annual scholarship for a graduating gifted and talented student.